Where does your club stand in the north west from Premier to Conference Premier League? I’d expect Preston North End to be at least 8th and potentially 5th. Above Wigan and running to be ahead of Blackburn, Blackpool, Bolton and Burnley. Yet Wigan are impressive and deserve their Premier League spot and until last year so did Blackburn and Bolton. Which leaves Preston slugging it out with Blackpool and Burnley. If Blackburn and Bolton don’t recover their Premier position quickly they will reduce their status for the long term. Overall there are 112 clubs in the 5 divisions and 24 are in the North West or Granada TV region from Macclesfield in the south to Carlisle in the north. This entry was posted in Preston North End, Uncategorized. Bookmark the permalink. It’s a good list you have comprised but I can’t see where you have PNE so high on the list and you think they could potentially be ranked 5th ? I don’t think so, I wish they were ranked 5th but for the last 40 some years they have performed miserably even to the point of having to have sought reelection, one of the last club’s ever to have that distinction. The last ‘big game’ I saw them play was the 1964 FA Cup Final loss to West Ham United. I had delayed my emigration because they were on a ‘cup run’, I left two weeks later. To be realistic, with the way English football has gone, there is very little chance that teams such as PNE will ever again get back into the Premier Division. There is no such thing in English football nowadays as a level playing field. 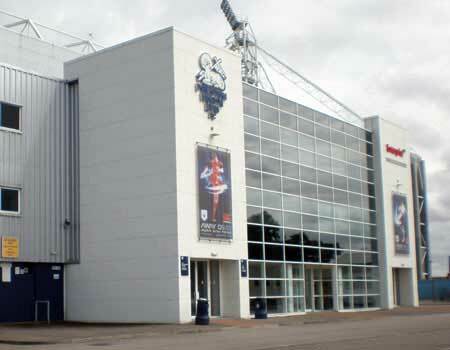 Foreign money and foreign players, both well out of the reach of many of the ‘average’ northwestern football teams now govern the English leagues and until that situation is remedied, team such as PNE will just have to hang on and hopefully stay in the Football League. It’s a sorry situation but ‘money talks’, big money, and only the special few have it.